SAFE ACCESS = DENIED ACCESS TL;DR. This place has turned into a hot garbage fire. 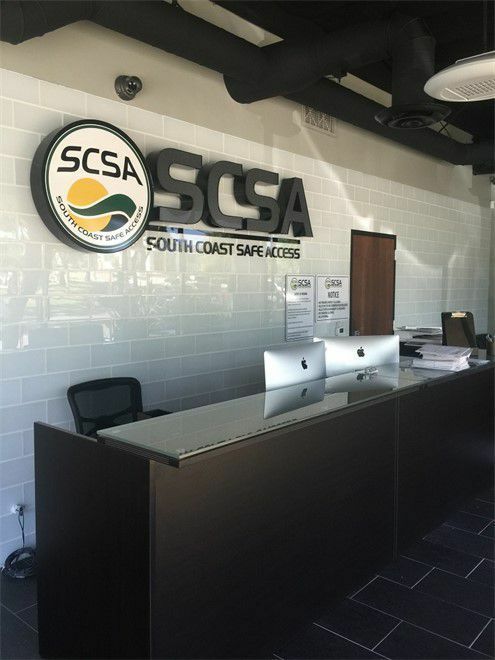 Was good a few years ago, but now that recreational consumption is in full swing, SCSA turns away loyal customers if they dare to have an opinion about their always-failing/empty ATM’s. In my case, raising my concern resulted in a full-time ban. More information below, but needless to say you have choice when purchasing cannabis. Don’t choose SCSA. They may be proud to be the first in licensed dispensary in the OC, but I promise you they don’t hire first rate people to manage the business. They’ll ask for your info, promise to fix it and ban you… THUGS and GOONS! Read below for more detail. ---- Was loyal to SCSA for years and tipped the bud tenders accordinsly. Was promised an additional one-time discount after the ATM was repeatedly out of cash (sure partially my fault for not bringing cash), but bud tender was PRO-ACTIVE in offering an additional discount for my next visit. I did NOT ask for this. It was offered, so I asked on my next two visits and was told… “I see a note, but no discount. I can ask my manager.” A few minutes pass each time. Bud tender returns to state” I asked my manager and sorry there is nothing we can or are going to do for you.” On my way out of the establishment, one of the other bud tenders (possibly managers) recognized me, said hello and asked how it was going. I explained that I wasn’t very happy with the expectation that was set and that they didn’t follow through. She introduced herself as Gaby, asked for my name and assured me that she would look into it. I explained that it’s a shame and that I will likely withhold my tips. I take care of people when taken care of. A few weeks later, I show up (with cash) and am not let in to the back and am told that the reason is for leaving bad reviews about the ATM! I stated that I have never written a review, but did have a bad experience. A young lady (well, she didn’t really act like much of a lady, but I’ll be kind) insisted that “she didn’t care and that I would have to leave.” Do not trust these folks. MedMen is just down the street. Go there. They won’t ban you for voicing an opinion, not to mention they’ll happily and legally accept your debit card. Unlike SCSA whom are illegally accepting credit cards. This place has become our go-to when it comes to selection and friendly service. 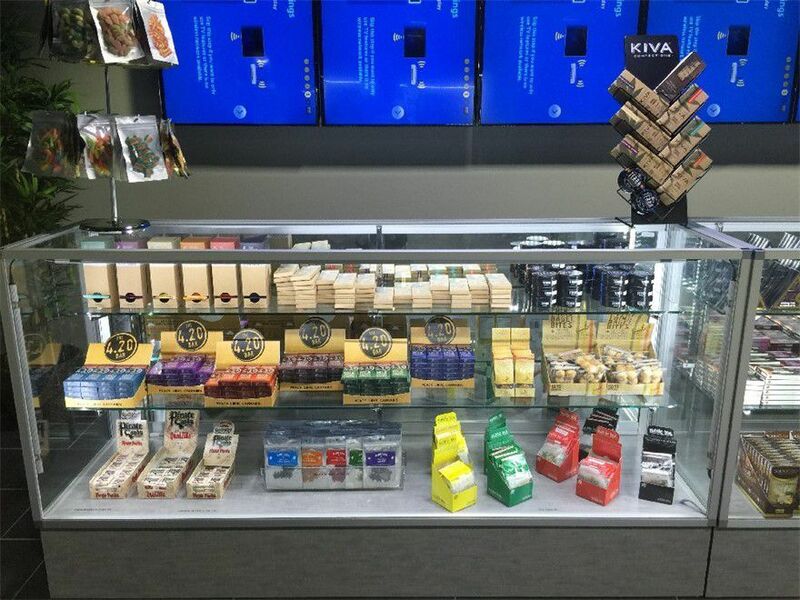 Wide selection of goods for anyone interested in CBD, vape cartridges, and edibles. Bummer of an experience. Management, through budtenders, basically told me that Leafly is not up to date with anything. They blamed leafly for this. Likely story--more likely technologically incompetent management. They don't honor their first timer deal listed. As far as product, they were out of a few of the higher THC content buds. Strange, bad experience. I walked out. Also, the woman at the front desk was very cool, very knowledgeable. The budtender seemed knowledgeable, but the experience was ruined. This is on management. Get your stuff sorted out. Good spot to get all your needs. place is amazing. seth was my BT super nice, knowledge, & patient. it was my 1st time nice to see a place that has tweezers & a viewing glass. to all my fellow vets hey offer 25% off bring your dd214 or card with you. thanks again seth!